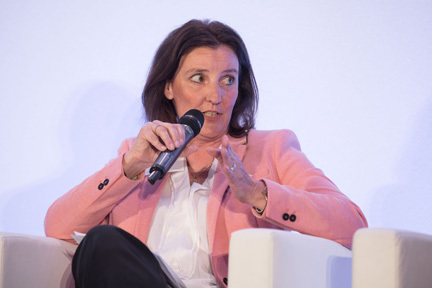 More and more consumers in Germany are using electronic payment methods. 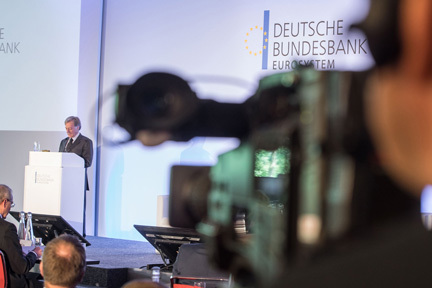 "However, this shift is taking place comparatively slowly," Bundesbank President Jens Weidmann said at this year’s Bundesbank payments symposium, comparing developments in Germany with what is happening in other European countries. Shoppers in Denmark, for example, could already pay by mobile phone and in real time at their local farmers' market. In Germany, meanwhile, cash remained the most popular means of payment, he said. Yet a world without smartphones and tablets is now virtually inconceivable in Germany, as elsewhere. 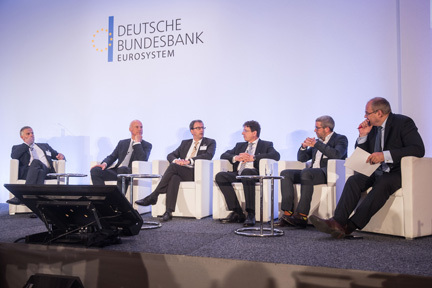 "On the one hand, these devices create new opportunities for providers of payment services, but on the other hand they also heighten users’ expectations," the Bundesbank’s Executive Board Member Carl-Ludwig Thiele explained at the same event. 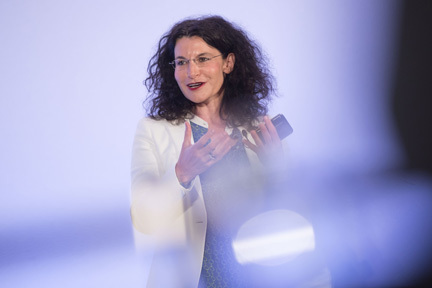 To date, Thiele said, young financial technology businesses (fintechs) in particular had developed products for digital payment processes, for instance smartphone apps. But, Weidmann said, banks’ and savings banks’ interest in forms of real-time cashless payments had also grown of late. Whereas they had, at first, been hesitant, they were now more open to this topic, he said and described the potential offered by cooperation between fintechs and traditional credit institutions. 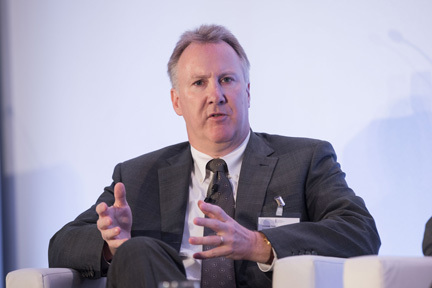 "A bank partner allows fintechs to reach a large number of potential clients. 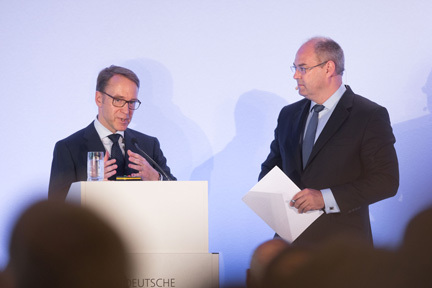 Conversely, cooperation allows banks to offer innovative services without long development times," Weidmann explained. 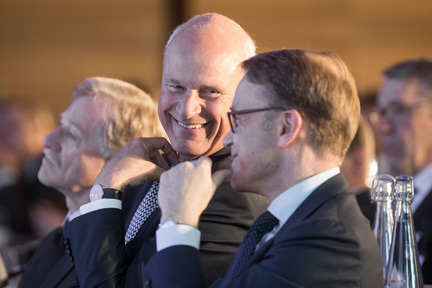 Bundesbank Executive Board Member Thiele and Yves Mersch, a member of the Executive Board of the European Central Bank, called on the banking industry to show greater innovation in the face of global competition. 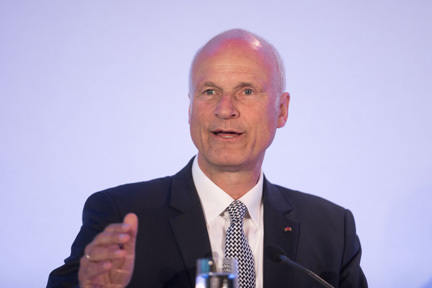 The digitalisation of the payments market in Europe had to be advanced in order not to "fall behind" other regions, Thiele said. "Think, for instance, of the increasing competition from global technology firms." By this, he explained, he meant not only competition from internet giants such as Google or Amazon, but also from large Chinese providers. 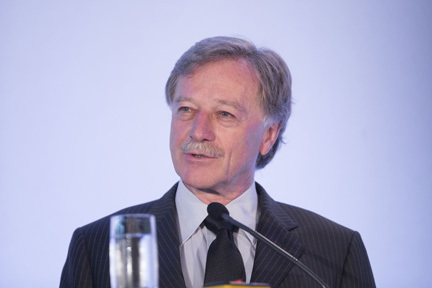 Yves Mersch reiterated this message. 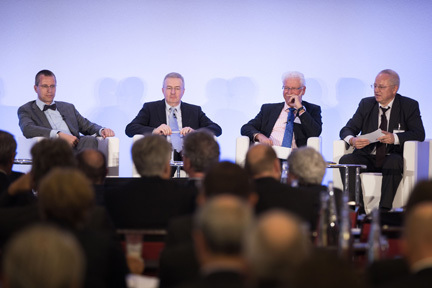 "We must ensure that consumers in Europe can pay in real time and using secure and sound market infrastructure without hitting cross-border obstacles – as is already the case with cash" , he said at the symposium. 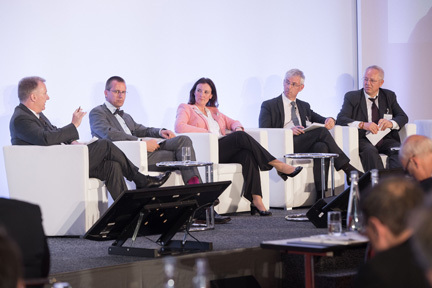 Table ronde sur le thème : SEPA 2.0 – Comment créons-nous le marché intérieur pour les règlements digitaux en Europe ? Table ronde sur le thème : Comment se présentera l’infrastructure de règlement dans 10 ans ? 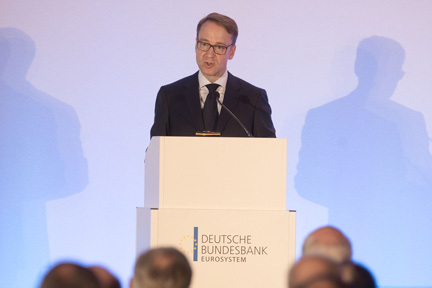 In his speech, Weidmann also discussed the challenges which the new developments in payments present for regulation. 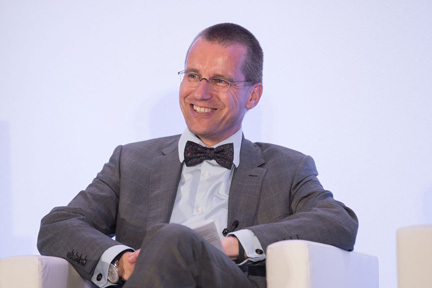 Looking at financial stability, Weidmann said, fintechs contributed to the heterogeneity of the financial sector, which could strengthen its resilience. They could, however, also change incentive structures and create contagion risks, "for instance, if increased interconnectedness of individual parties means central counterparties lose significance," Weidmann went on. In order to be able to make concrete estimates of the risks that fintechs present for financial stability, a more exact picture of the type and scale of these enterprises’ activities was needed. 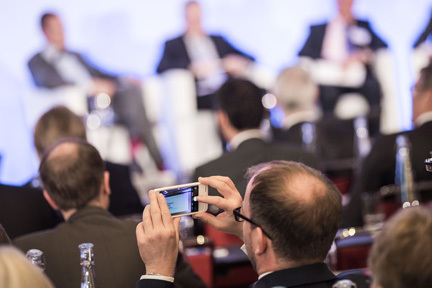 "The G20 states have therefore called on all countries to observe the digital financial trends in their countries, paying particular attention to cross-border aspects," Weidmann said. Weidmann also warned of the growing risks of cyber attacks. "The question is no longer whether an infrastructure or institution will be targeted, but merely when and how often." Weidmann said that banks as well as payment and securities settlers had to manage their IT and cyber risks at least as carefully as their traditional bank risks. The Deutsche Bundesbank had been attacked on multiple occasions in 2016. However, the protective measures it has in place had allowed it to successfully ward off all attacks so far, the Bundesbank’s president said. Another key subject at the symposium was the virtual currency bitcoin and the blockchain technology on which it is based. 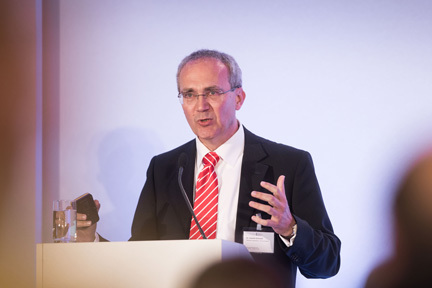 Bundesbank Executive Board Member Thiele warned against regarding bitcoin investments as safe. While commercial bank money was always a claim on a commercial bank, virtual currency was not backed by anyone, he said. "It is, in fact, created from nothing by people whose real names are not usually known and based on rules decided on by an unknown committee." By contrast, blockchain transaction technology, which the Bundesbank is looking into, was of greater interest. 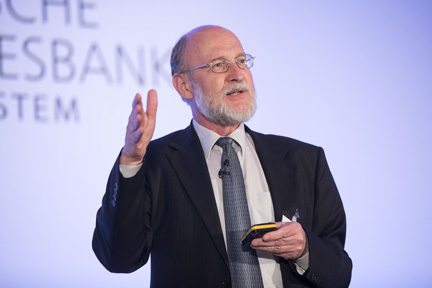 "If blockchain is to be used, it will have to be adapted to the world of finance," Thiele said. Before that can happen, the technology must first meet basic principles such as safeguarding confidentiality and ensuring the finality of transactions. Eröffnung des Bundesbank-Symposiums "Zahlungsverkehr und Wertpapierabwicklung in Deutschland im Jahr 2017"